Fenek (all about Maltese rabbit & Fenkata) | Simple. Tasty. Good. AHA! Now this is truly one of the major reasons I’ve been looking extremely forward to our stay in Malta. 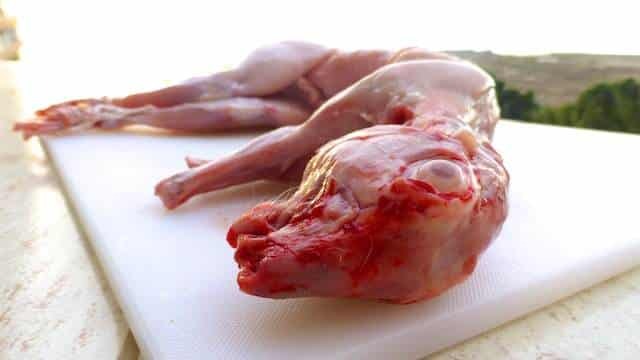 Besides fish and seafood another creature is a very popular source of protein here: fenek, or rabbit in Maltese! But they are so cute… I bet half of you guys are thinking right now. Yep, very cute but what’s even more important to me: rabbit is also delicious! 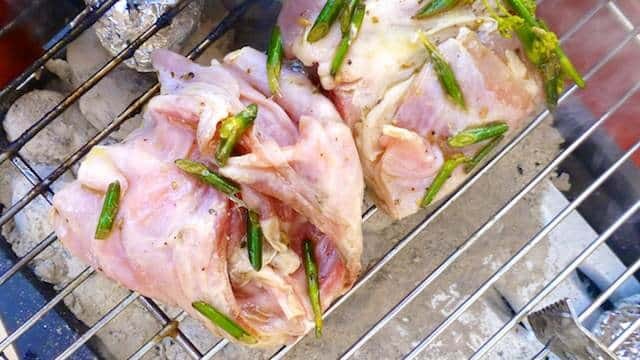 Here’s why I’m so excited about cooking rabbit. I gave up buying rabbit in my local supermarket at home. Last time I cooke it, the poor thing was utterly tasteless, total disappointment. And here we are in Malta! The morning of our second day we took up the plan to look for a good butcher shop and finally bring bunny home. The closest we could find in Marsaskala is Michael’s Butcher (48, Triq Sant’Anna), a tiny shop with a limited choice of fresh meats such as Maltese sausages, pork chops, chicken fillets and of course beautiful rabbit loins and legs. Besides a couple of local sausages we bought a rabbit loin. The butcher offered to chop it in half which proved to be a good idea later on because it was much easier to cook. We paid €3 for the loin, a bargain. 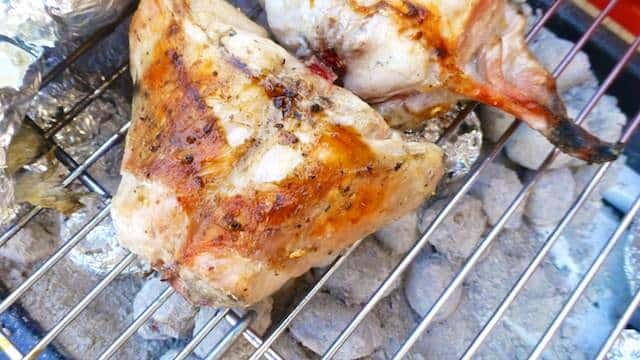 Next question: what marinade should we soak the rabbit in? Olive oil, vinegar, pepper, salt, fennel seeds… the usual stuff! 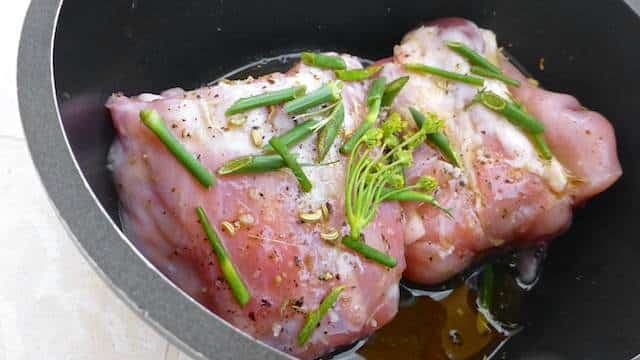 So that was our first serious go at cooking rabbit which turned out extremely well but how do the Maltese cook theirs? Some of the most popular rabbit specialties here are rabbit stew with tomatoes and/or red wine (stuffat tal-fenek) which is also served as a sauce for spaghetti, roasted rabbit (fenek moqli), rabbit braised in garlic and white wine (fenek bit-tewm u bl-inbid) and local ravioli with a rabbit stuffing. Check this recipe by Lala!